It is very easy to understand the willful ignorance of extreme religious types and ideologues when a beloved story you have taken deep into your bosom as historical truth turns out to be largely fictional. 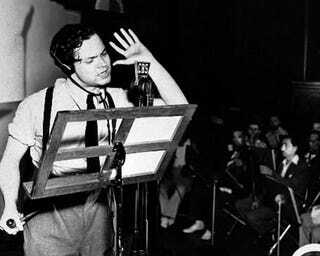 The alleged mass hysteria caused by 1938 Mercury Theater broadcast of War of the Worlds was highly exaggerated and mostly driven at the time by newspapers hungry to discredit radio as a news medium. But just like the miracles of Jesus, the UFO crash at Roswell, and Marilyn Manson being that kid from Wonder Years, sometimes the story is far more important than the truth. So I am curious: Is there anything that you know is untrue or highly exaggerated or has no scientific data to back it up and yet you insist on believing it?